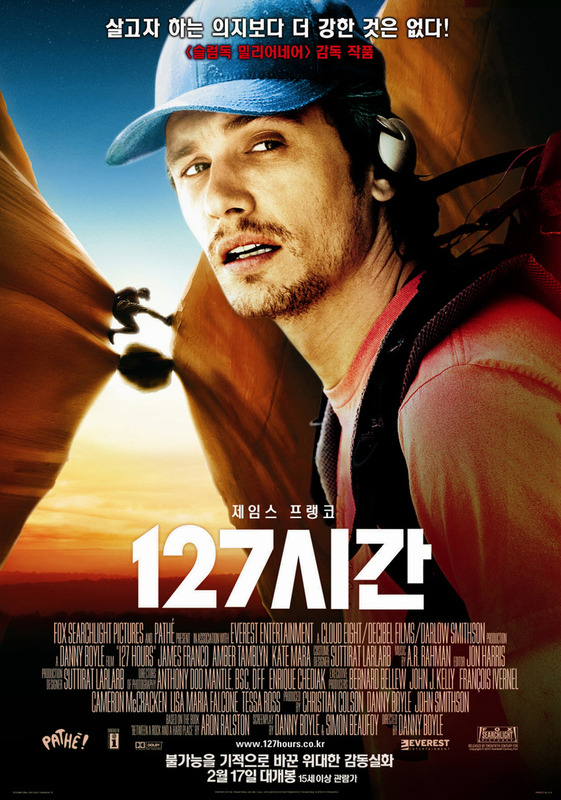 ‘127 Hours’ is a film directed by Danny Boyle, starring James Franco. By now, those facts should have already been burned in your mind. The star received received a nomination for his for the Oscars, while the director himself was somewhat ignored. The film itself was listed amongst the best, as was the editing and the musical work, but a little bit more on that later. 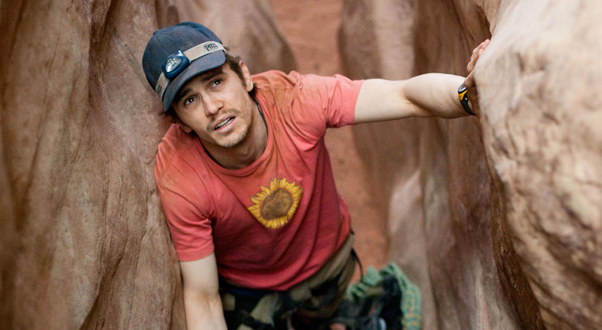 James Franco portrays Aron Ralston, an outdoor enthusiast who knows the Canyonlands National Park like the back of his hand (pun not intended). The start of the film shows him preparing for his little trip, and off he goes. 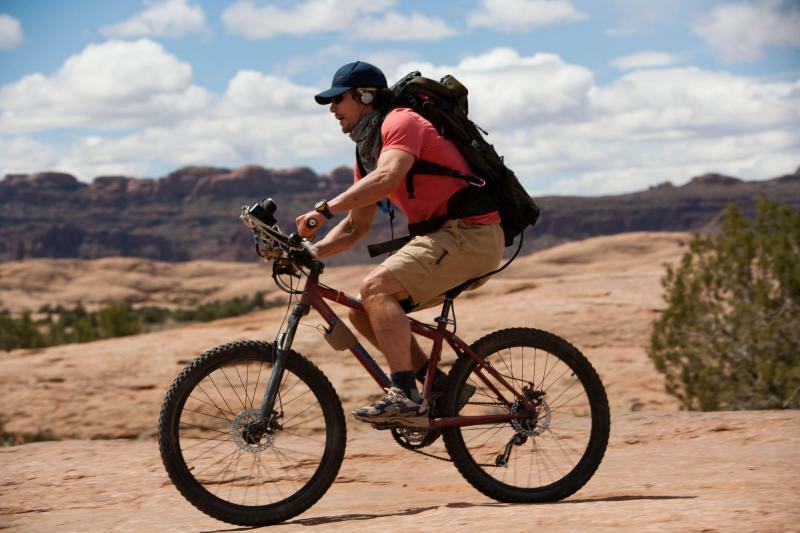 Along the way, he encounters two other hikers, Kristi (Kate Mara) and Megan (Amber Tamblyn), who were lost. After helping them on their way and spending some time with them as well, he eventually set of on his own, trying to navigate his way through Blue John Canyon in record time. In his haste, a boulder is jarred loose, trapping his hand. It keeps him stuck there for the next 127 hours. "Don't worry girls, I won't put this on Facebook." I already know how the film would end. In fact, in reading about the film, I can even recall about the first time my friend talked to me about it. He had seen a TV programme that did an interview with the real Ralston, and he had posed the question to me: “What would I do if I had to amputate my own arm? In that situation, when it literally is a matter of life and death, how far would I be willing to go to live?” It is a pertinent question, one that is not an easy one to answer, but while the answer may seem obvious to some, it seems to me that the film focused more on the question itself. Fair enough, because, as the film was based on a true story, you can’t quite surprise with the end. You can, however, surprise with how it unfolds. What we got, then, is a relatively true rendition of the events, so true that even the person it was based on described it as almost documentary-like in some scenes. So focusing on the question seems to be the wiser approach to me. That question is basically: what would you do in order to live? In asking and answering the question, we see the character Ralston flit back and forth between the past, present and even the future, gather the courage to survive. He sees the mistakes he made, the events he wished had turned out differently, the errors of his arrogance that led him down this path. “Everything is…just comes together,” he stated during a particularly powerful scene. He is something of a lone wolf, and has been for a long while. “It’s me. I chose this…I’ve been moving towards it my entire life. The minute I was born, every breath that I’ve taken, every action has been leading me to this crack on the out surface.” Pretty powerful stuff, I’m sure you’ll agree. Embellished somewhat by the director’s expert hand, but what is drama without such embellishments? "Can someone give me a hand here...?" The next question is: who was he addressing that particular monologue to? What I found interesting in the film was the usage of a secondary camera within the diegesis of the film. He has a video camera he brings along to record his adventure, and upon realising that he’s not going to be moving for quite a while, he decided to record a more somber video diary, an account that traces his adventures slowly but surely. It puts us in the strange position of being addressed to, while the fourth wall between the audience and the actor remains somewhat intact. He’s performing for someone, yes, (perhaps even for himself), but not necessarily for us. That is a somewhat strange sensation. Then again, I expected nothing less than that from Danny Boyle. This is where I feel that a trick has been missed by some in some quarters. If the film is to be considered as one of the best films of the year, a lot of that has to do with Boyle’s masterful manipulation of the elements. The music, the sound effects, the camerawork has a lot to do with the director, despite being the responsibilities of a select few people (interestingly, this film has two cinematographers). That may seem obvious, but this is a film that is worthy of the tag ‘A film by…’. The vision that Danny Boyle has for this film, I feel, is great; his knowledge of how to manipulate the Dutch camera angles, the volume of sounds, even the positioning of the camera is more than noteworthy. It bears all the hallmarks of being a Danny Boyle film. He is a brave director with a vision, and for that, ‘127 Hours’ should probably have gained its director a nomination as well if it is indeed worthy for the Oscars. Mark Webber's Pure Tasmania Challenge has a new participant. I say the word ‘if’ twice, because while I enjoyed the film very much, and admired the technicalities of things, I do not sincerely believe that this film could be considered amongst the best of the films on offer over the past 12 calendar months. Perhaps the relatively low box-office takings (not even $40 million, which is disappointing even for this low-budget a film) reflected this as well as any example. The same goes for James Franco’s performance, which I am not trying to demean in any way. I have often thought that one-man shows have always been difficult to pull off. While that’s not always the case here (as I said, we did flit back and forth between the past, present and the future), you would still need to play off against someone on a regular basis for maximum impact. Can you do it all on your own, even and perhaps especially when the story is about someone who did do it on his own? Maybe, maybe not. Once again, I like him, and I do like his performance very much, but I don’t know whether I myself would personally rank it amongst the top 5 performances of the year. What is it that I do not find all that satisfying? I don’t know. Perhaps I am measuring it against what I would expect. Realistically, I was expecting a bit more pain from him while he was stuck down there. Watching it with my friend, we noted later on how calm and relaxed he seemed during most of his ordeal. I would expect the situation to have inspired more fear in him, but then again, that’s me. If the person who was stuck down there for 127 hours said that it was realistic, then what do I know? Still, while it made for an enjoyable film, with snappy editing and angles, typically haunting music from A.R. Rahman and a very strong performance from one of my favourites, I don’t know know whether this film is actually one of the top ten films of the year. Danny Boyle, however, may have deserved a nod for his direction of the film, for the crafting and the matching of the pieces of the puzzles to create this enjoyable fare. The academy has missed a trick here. Fikri probably wouldn’t cut off his own arm.